Home » Articles » Family Autonomy » Is Health Care reform Part of Agenda 21 Sustainable Development? Is Health Care reform Part of Agenda 21 Sustainable Development? The answer is yes absolutely, Health Care Reform is part of Agenda 21 Sustainable Development. Health care reform is not about enhancing personal health, it’s about implementing new systems, profits and liaisons in the name of health care. Action items under Agenda 21 must address the primary health needs of the world’s population, since they are integral to the achievement of the goals of sustainable development and primary environmental care. Countries ought to develop plans for priority actions, drawing on the programs in this chapter, which are based on cooperative planning by the various levels of government, non-governmental organizations and local communities. In a more specific sense Agenda 21 calls for the shift in economic basics from free enterprise to “public private partnership.” This is exactly what has been occurring in medicine and is proposed to be formalized by Obama care. As for the system of justice, Agenda 21 calls for social justice to replace equal justice. Social justice allocates the application of justice to groups as opposed to individuals. One must also connect the family planning policies of Health Care Reform to Agenda 21’s sister document, the Global Biodiversity Assessment which directs an 85% reduction in world population if we stay in an industrialized state. Russell L. Blaylock, M.D., Social Utility: How Much Are Grandpa and Grandma Worth? For your own copy of the U.N. 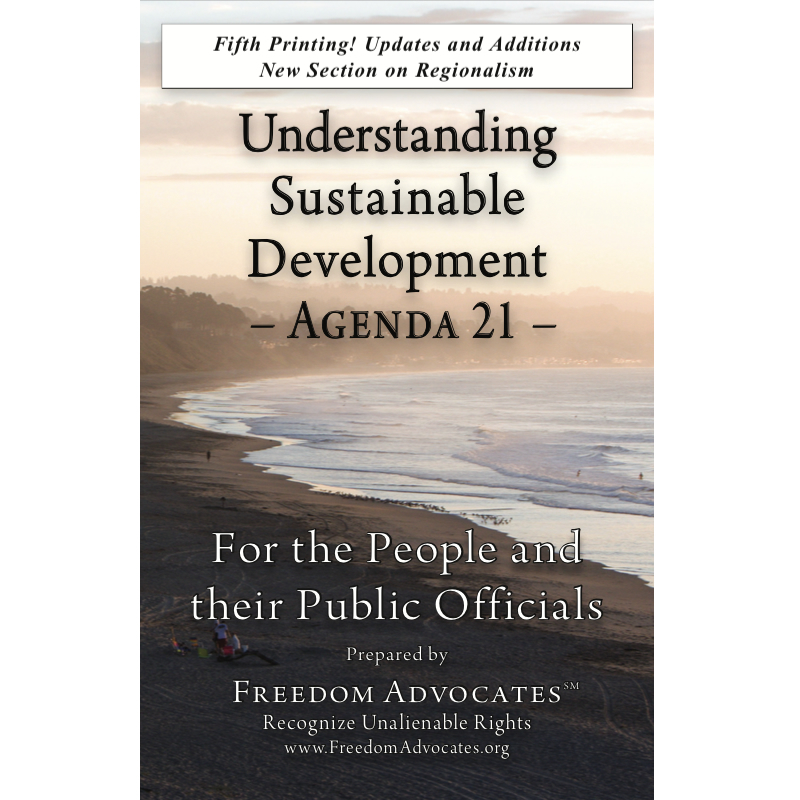 Agenda 21 document, visit our Research Center.